Ashley and Travis are celebrating their FIRST wedding anniversary TODAY (October 7)!! 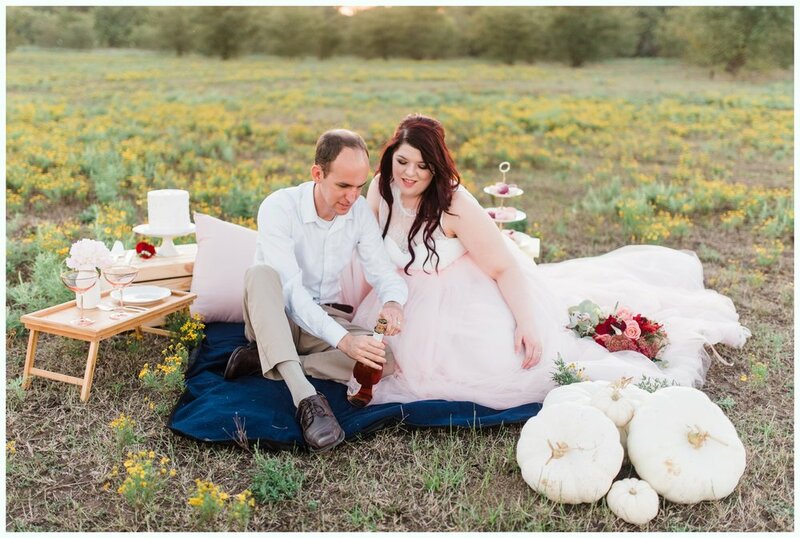 We were so thrilled when Ashley reached out to us about doing a styled anniversary session! Seriously y’all…this woman is so creative! She had a vision in her head and brought it to life for their session! Between Ashley’s amazing skirt, the florals, the cake, EVERYTHING…this anniversary session was a photographers dream come true! Ashley and Travis are just the sweetest couple and we wish them the absolute happiest first anniversary! !